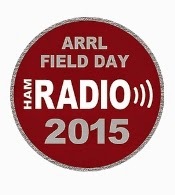 The ARRL Field Day is coming up at the end of this month and it's time we all dusted off our go-boxes and got ready for the best radio weekend of the year. This year Field Day will be held on the 27th & 28th June. Field Day is about emergency preparedness, not contesting. This is a golden opportunity to get out of the shack, set up at another location such as your local county EOC, and get on the air. Most Emcomm groups use quickly deployable portable antennas while others might erect more elaborate portable towers and dipoles. 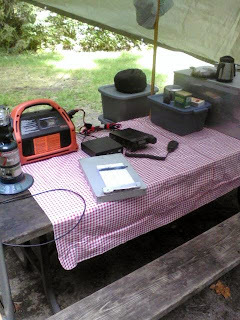 Some groups use battery power, others use generators, and still other clubs use mains power, and keeping with the spirit of deploying the set up is done using tents and screen shelters. Field Day is an important training exercise for Emcomm, perhaps the most important one of the year besides Winter Field Day held each January. If your Emcomm group does not get out and practice deploying to the field on a regular basis, you're not much better than a radio social club........and perhaps you need to reconsider your commitment to Emcomm as a whole. We at ECOA hope to work you on Field Day weekend, give a listen for our association station, VE3OEC, operating from the highlands of Haliburton.